These eleven-day unusual vacations allow you to make your own choice of sunshine holiday destinations. Our exotic holidays are centered in some of the best sunshine locations in SE Asia - all packaged up with a short introduction to Vietnam's Ho Chi Minh City and the Mekong Delta. 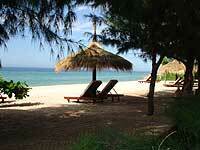 Your Vietnam vacation commences with …..
…. your arrival and a full day in Ho Chi Minh City. After you’ve checked in, rested after your journey, enjoyed a ‘Welcome’ dinner and had a good night’s sleep, the many attractions of Vietnam’s commercial powerhouse await you. It’s a taxing city experience, but full of interest! Enter the world of the Mekong Delta where the mighty river inundates the land every year flooding the land to a depth of several metres. You’ll explore a culture adapted to a water world, floating markets, networks of islands, cottage industries, orchards loaded with exotic fruits and lots more. There’s nothing quite like it in Vietnam, or even in the rest of the world. Two of Vietnam’s must-see places – the massive network of narrow tunnels that defied the power of the B45s and the US army, and Cao Dai, the world’s newest mass religion and its outrageously flamboyant temple. 18km of soft sands lined with carefully partitioned low-rise resorts – good restaurants nearby and a golf course in Phan Thiet.Huge sand dunes behind the beach. Ideal for a conventional beach holiday - would suit older children, too. 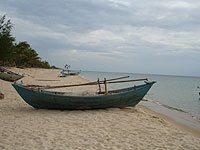 Little-visited archipelago with empty sandy beaches and a large National Park. Little tourism infrastructure and limited accommodation. A destination for travellers who want to get away from the crowds! Diving is available if you extend your stay. 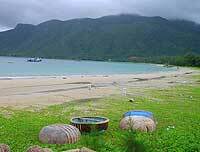 New holiday destination ringed by some of Vietnam’s best beaches. Easy to get around and reasonable accommodation. Good option for lazing on the beach, but without the facilities of developed resorts. Diving is available if you extend your stay. Unless you’ve decided to extend your holiday, it’s time to head for home! These prices are valid until Octoberber 31, 2017. Please note that bank transfer fees are not included. * ‘Single room supplement’ refers to the accommodation element of the programme only, and applies to someone who is travelling with others but requires an additional room for him or herself. Single traveller prices are available on request. Boat cruises if specified in the programme. The services of experienced English-speaking guides as indicated in the itinerary (please note: guides will be on hand from pick-up until guests’ return to their hotel or reach their destination). Free days or part days will not include the services of a guide unless requested and included in the final itinerary. Lunches and dinners (if specified in the itinerary) in the best local restaurants, or picnics where no suitable restaurant is available. Long-haul international flight tickets and airport tax.